We Buy Any Car® is the hassle free way to sell your car today. Get your free online valuation to determine the current value of your car in around 60 seconds. Then, make an appointment at your nearest We Buy Any Car buying center to sell your car. We'll professionally appraise your car and give you a check for the fair market value. It really is that simple! We value our cars, but we value our customers more. This means that you are a part of the entire process from start to finish, including personally meeting our branch manager, walking through the inspection process and getting money for your car in the same day. We buy all cars from $50 to $100,000. Best prices are paid for cars in good condition but we'll also buy cars that need repairs for a fair price based on condition. Get started selling your car in Philadelphia today for the most professional, hassle-free car selling experience ever. With 15 locations in the Greater Philly area, you'll find a branch convenient for you. 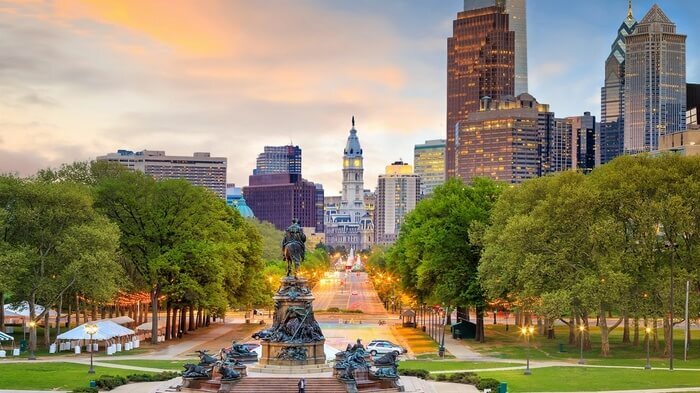 Make your car selling experience even more exciting by taking in some Philadelphia fun. Try a true Philadelphia cheese steak, take in a Phillies, Flyers, or Sixers game, visit our award winning zoo, or learn more about Philly's rich history.